I’m in a Craigslist conundrum. The cabinet I use to store my cocktail ingredients is overflowing, which can be a good problem to have — but my multi-month search for a more permanent home to the beverage station has turned up dry. Bar carts seem to be few and far between, so I’m starting to expand my horizons for an alternative solution. These two pictures have adorable bar areas set up on top of bookshelves and dressers and are serving as my inspiration. Aren’t they chic? 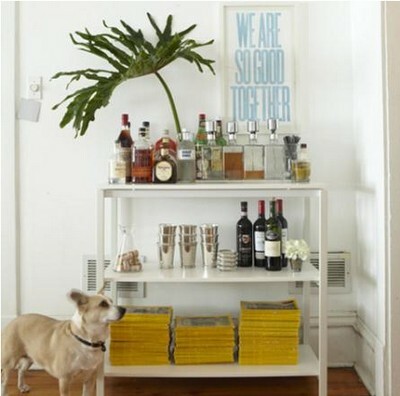 7 Responses to "Bar cart alternatives." 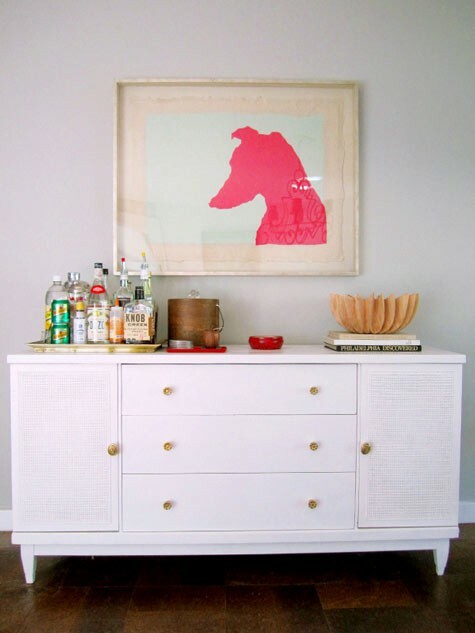 your 2nd pic features a $55 ikea melltorp sideboard. They are clearing them out! Get one before its gone!! I have had the hardest time finding a bar cart too!!! even ones that I could paint or DIY aren’t turning up. I love the idea of using book shelves and dressers too! OMG! The second image – Dean is the lady blogger who helped me create Olivia’s nursery! She is awesome!! 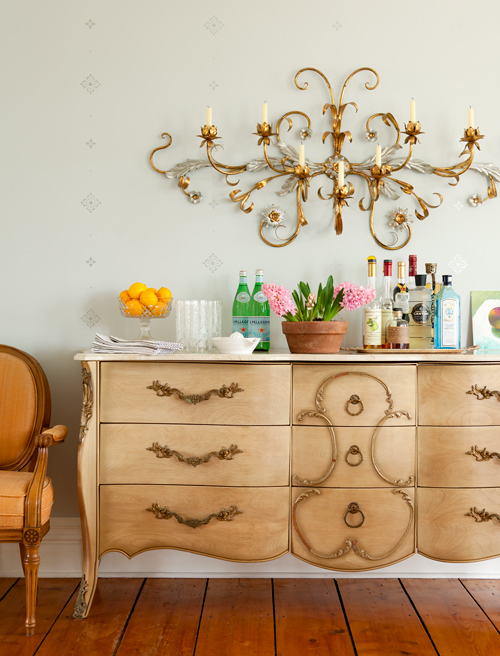 I love the whole makeshift bar dresser, cart, hutch idea. The first image is too fab for words! the 3rd one is AMAZING. Hope you find something! I have been feeling EXACTLY the same way! I want a chic bar setup but can’t find anything, thus have turned to shopping for unique antique dressers. I love each of these options, seems more practical too.